Root cellars are a low-maintenance method of food preservation that requires no extra work on your end. Storing fruits and vegetables in a root cellar helps to preserve freshness in the least labor-intensive way possible. Doesn’t that sound awesome? One thing to know is that you want to store ONLY the freshest, best food possible, and it needs to be treated carefully. This rule applies to bulk vegetables purchased at a farmer’s market or dug out of your garden. Veggies and fruits with bruises or rotten spots don’t earn spots in the root cellar. Another thing is that storing vegetables in the root cellar requires a specific temperature and humidity requirements. I mean, you don’t have to follow these conditions strictly, but being close helps preserve the veggies. Here are fruits and vegetables that you can store in a root cellar. You might be surprised to know that you can store some leafy greens in a root cellar. Cabbage is the most popular pick. Don’t worry about cleaning your cabbage. 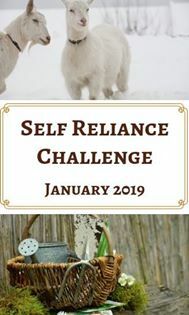 Ideally, you would keep the roots attached and replant into the soil in the root cellar. It’s easiest to do this in a large basin, such as a garbage can. Another option is to wrap each cabbage individually and place it on a shelf, leaving a few inches between each head. 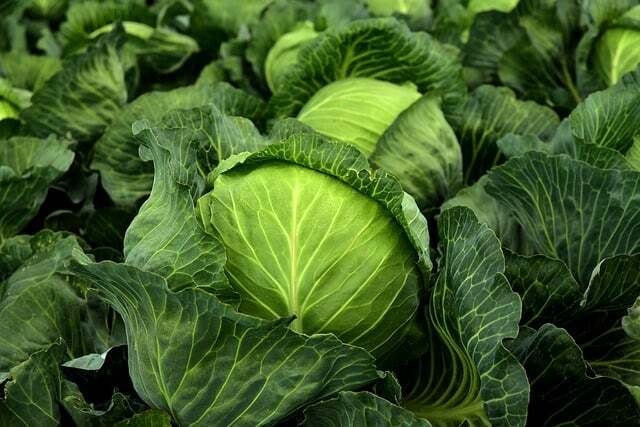 Most importantly, you don’t want to leave the cabbage just openly out because the odor will move throughout the root cellar and damage the flavor of celery, apples, and pears. If that’s not an option, that’s okay too! Remove the exterior leaves and store the cabbage heads on a slatted shelf inside of your root cellar. Cabbage family members prefer cold temperatures and high humidity for longest storage, typically around 32 to 40 degrees with 90% humidity! Red cabbage varieties do store better than green, and for long-term storage, pick a late variety of cabbage. 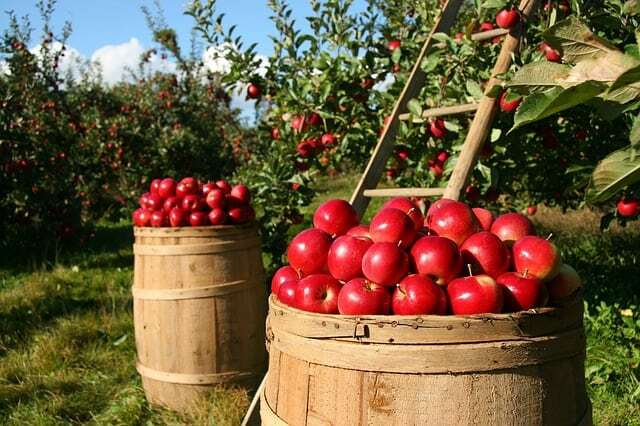 Storing apples in a root cellar can be a bit tricky because they require cold temperatures, around 32 to 40 degrees with 90 to 95-percent humidity. Heirloom apple varieties do better than the newer varieties of apples, and tart keeps better than sweet apples. You want to only store mature, unblemished apples, and wrap each individually in newspaper. Then, store the wrapped apples in a wooden apple crate or a cardboard box. Average Shelf Life – 2 to 7 months, depending on the variety. After the potato plants die back, it’s time to dig them up. Potatoes need to cure in a dark place at 45 to 60 degrees F for 10 to 14 days. After curing, potatoes can be stored at 40 to 45 degrees F. Storing at colder temperatures make the potatoes have a sweeter taste, and warmer temperatures lead to sprouting. Make sure you don’t store with ethylene-releasing crops. Most root crops are obvious choices for root cellars. Harvest sweet potatoes in the late fall, picking only the undamaged, unblemished potatoes for long-term storage. Remove excess soil and cure in temperatures between 80 and 85 degrees F for 5 to 10 days with high humidity.After curing, transfer the sweet potatoes to a dry storage area with temperatures around 55 to 60 degrees. Make sure that you store the sweet potatoes in a well-ventilated box. Leeks are in the onion family and handle root cellar storage decently. First, place a heavy layer of mulch in your garden until a hard frost. Then, it’s time to dig up the leeks, keeping them intact. Some gardeners actually prefer just to leave the leeks in the garden with several inches of mulch. For storage, place the leeks in a deep bucket. Store them upright in damp sand or soil. Leeks do best when stored at a cold temperature, between 32 to 40 degrees, with high humidity, around 90 to 95%. 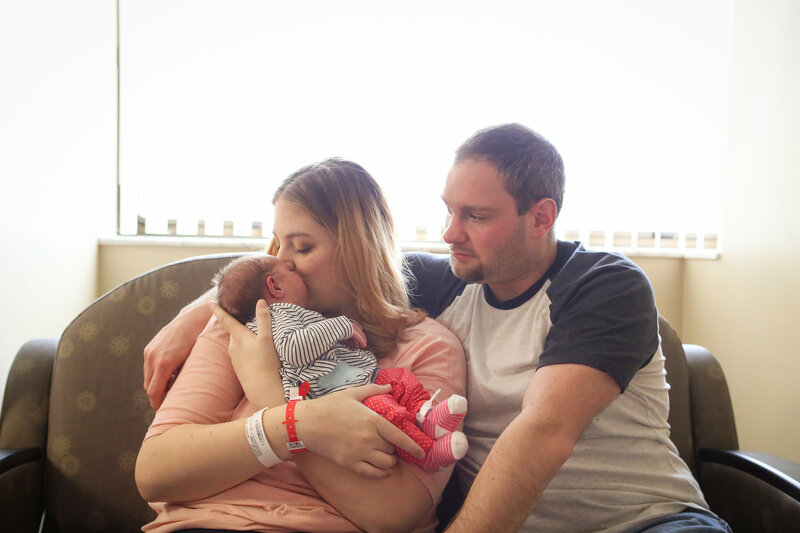 Average Shelf Life – 3 to 4 months. Carrots taste the best when you leave them in the ground after a few touches of frost. Keeping them in the garden for as long as possible is ideal. You can place some straw over top of them in the garden. You will want to pull them up before the ground freezes – trust me. Have you ever tried to pull carrots out of the frozen ground? It’s not fun. Dig them up before the ground freezes, then remove the tops close to the carrots. The tops, called fronds, deplete the carrot of moisture and nutrients that are necessary for the crop to survive in storage. Then, place your carrots in a box with moist sand or peat moss. Average Shelf Life – 4 to 6 months or longer! 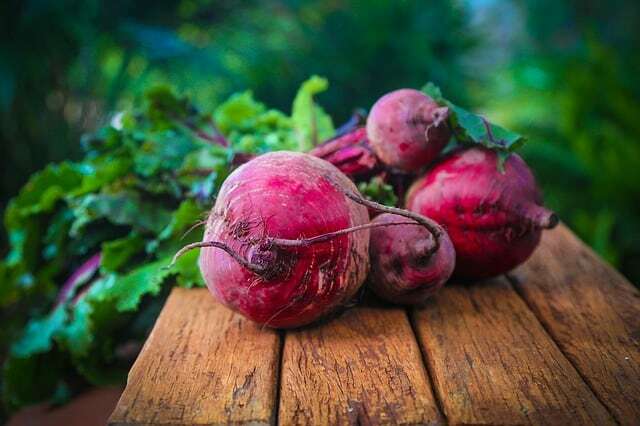 Beets are a root crop that store well in cold temperatures, between 32 and 40 degrees, with high levels of humidity. Harvest the beets in dry weather, when the roots are around 2 inches in diameter. Dig up the beets, cut off the tops, but make sure to leave 1 to 2 inches from the top of the root. The root tip needs to stay intact! Once harvested, brush off loose soil and layer the beets in damp sand, sawdust, or peat moss. Store them in either a plastic container with a tight lid or a wooden box. Most importantly, don’t allow the beets to touch each other because it increases the spoilage rate. Pears are similar to apples, and they require cold temperatures to store in a root cellar. Their ideal temperatures are 29 to 31 degrees F. Each pear needs to be wrapped in newspaper, then stored in a cardboard or wooden box with plastic. Make sure that you only store unblemished, unbruised fruits. Parsnips can be left in the garden under a layer of mulch, just like carrots. The problem with doing that is parsnips don’t like the freezing and thawing cycles that naturally occur with leaving them in the garden beds. 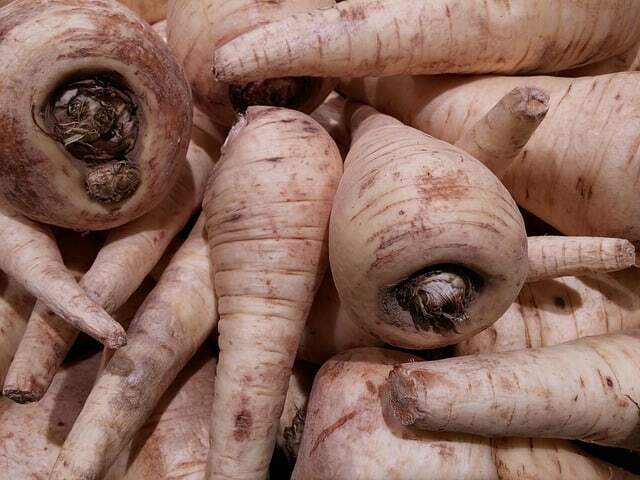 Storing parsnips in a root cellar is a great choice. All you have to do is cut off the tops and layer them in a box with damp sand or peat moss. When it’s time to harvest the garlic, dig up the heads and brush off the loose soil. Make sure you handle the garlic heads delicately! Garlic heads need to cure for 10 to 14 days in a well-ventilated location. The bulbs shouldn’t get wet or sunburned. Once cured, braid the tops together and hang. You can also cut off the tops and keep the bulbs in mesh bags. To prolong the life of your garlic, always keep in dry conditions. Otherwise, they will start to sprout. Garlic does best in 50 to 60 degrees F with 60 to 70% humidity. Remember that softneck varieties store better than hardneck! Onions store for months in a root cellar in the proper conditions. First, make sure you place the harvested onions on newspaper, screen, or hardware cloth. Store them in a dry, well-ventilated area, out of the sunlight. Cure for 10 to 14 days until the skins are papery and the roots are dry. Then, cut 1 inch above the onion and store in ventilated containers. A few choices you might like are net bags, paper grocery sacks, or pantyhose! Don’t store onions in plastic bags or storage containers because they need to breathe. 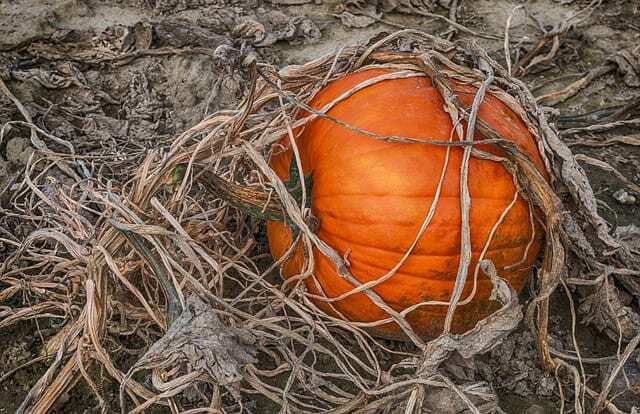 Years ago, pioneers and homesteaders stored pumpkins to last throughout the winter. They were for more than just pies! Harvest your pumpkins before the first frost, leaving at least an inch or more of the stem intact. Pumpkins without a stem have a heightened risk of spoilage.Cure at 80 to 85 degrees F for 10 days. 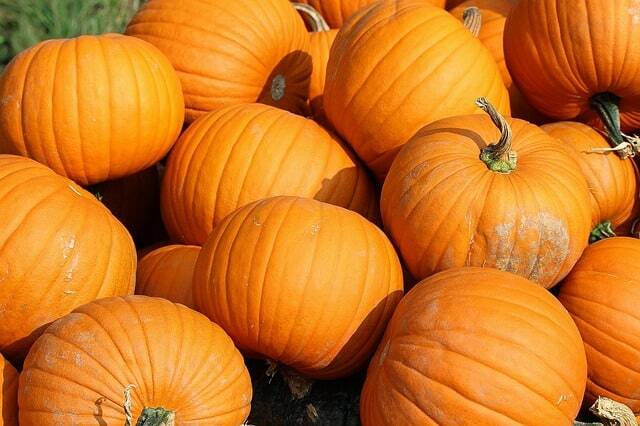 Pumpkins require dry storage with temperatures around 50 to 60 degrees. Use this process to store almost any squash. Another root crop that stores well in root cellars is rutabagas. They store just like carrots and parsnips. Lay them in a box of damp sand. The sand must stay damp in order for them to last the longest possible. More people opt to store rutabagas outside because they do release an unpleasant odor.